Event Description : KIDS WORKSHOP : Hands On presents "Exploring Optical Illusions"
Two pictures spin into one, objects vanish right in front of your eyes, straight lines start to bend, a hole magically appears in your hand - prepare to be amazed! Tease your brain and play tricks on your eyes with magical and mind-bending optical illusions. Kids take part in magic tricks and experiments that explore how our brains perceive the world around us – and how easily our senses can be misled. 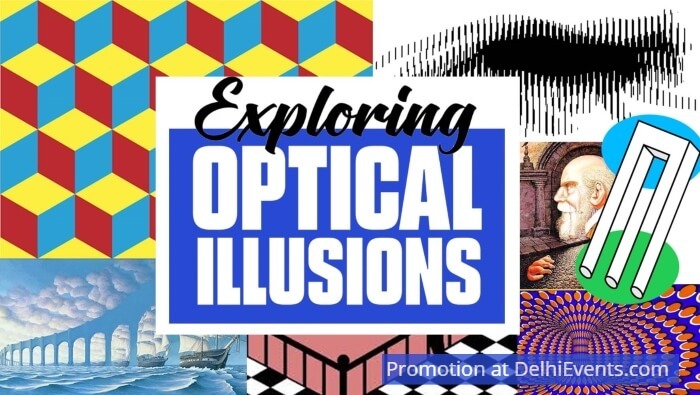 They learn the science behind optical illusions as they are introduced to basic concepts of optics, light, and how the brain functions with the eyes to create a vision.